Last month, I spoke at an Executive Lecture Series at a major University. My subject was ‘How to build personal relationships and advance your career.’ Following my speech, one of the young people in attendance reached out to me via LinkedIn. She told me that her Father had worked in the retail industry for over 25 years. However, despite a successful career, the company for which this man was working, was closing their retail store in their hometown, and this man was now out of work. She asked for my help in aiding him in finding a position. Now note – the man looking for the job was someone I had never met and I had only met his daughter following my speech. I was surprised but gratified that they reached out to me thinking I might be able to help . . .despite the fact that I know little about the industry in which this man was looking for a position. It was a sad tale but it got me to thinking. What can someone do in their life to ensure they never have to actively look for their next job. On the speaking circuit, people are constantly asking me questions about career change. If it’s a college student, they want to know how to get their first job. To me, the answer is as simple as ABC – Always Be Curious. Curiosity may have killed the cat but it also can provide you with a great tool for getting your next job. You display your curiosity to others by asking questions. If you want to make a great impression on someone, don’t talk about yourself and your accomplishments. Instead, ask questions and get your new contact talking. Ask them where they are from, what the biggest business issue they have ever confronted, ask them about their recreational interests, about their families, about where they like to travel and about their successes and challenges. Last Sunday, a young man, age 22, knocked on my front door. Essentially, he was asking “How did you do it?” He peppered me with lots of questions asking me about where I am from, what it was like being a lawyer, how did I transition from the law to business, what are the names of the hottest tech companies in our state, and on and on.” The result was a good one for this young person. He has a job interview with me next week. NOTE: He did not come seeking a job interview but HE GOT ONE. I was impressed by his curiosity. It all started with his asking me questions. He wasn’t asking “Can I get a job working for your Company?” He was genuinely interested in seeking my advice on his budding career. 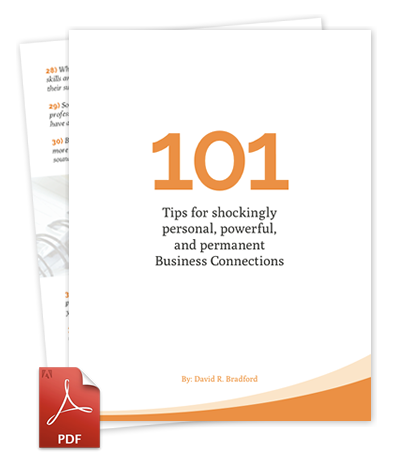 A survey was done years ago on “how people got their job.” 56% of the people surveyed obtained their job through a personal connection. Make no mistake – personal relationships make it happen. So the more personal relationships you develop, the greater your chances will be that your next job will be supplied by one of those people. In other words, you have to connect or network with people. And the best way to do is to ask lots of questions about other people. 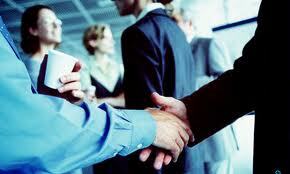 People tell me all the time that they are not a natural networker. My response is always the same. “Do you know how to ask a simple question? The answer is always yes. I then tell them how they can become a great networker simply by asking questions. At the beginning of this blog, I told you about the man who contacted me through his daughter seeking a job in an industry I know little if nothing about. The great news is that I was able to introduce this man to the Chief Human resources Officer of a 200,000 person company in the retail space. The CHRO told me that they would arrange for this man to interview with this exceptional company. So ask a lot of questions, expand your network and never worry about where your next job is coming from.